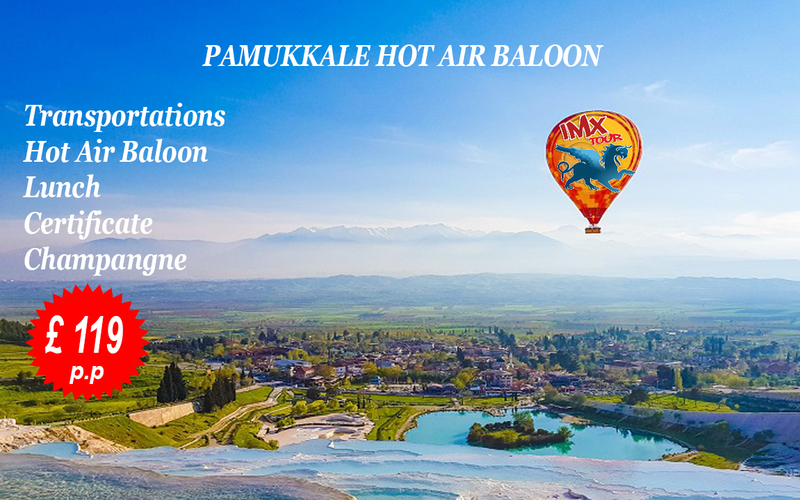 Pamukkale hot air balloon tour from Altinkum. We will leave from Altinkum at about 04:00 total journey takes 3 hours.there will be a break on the halfway to Pamukkale. By 07:30 balloons are will be ready to take off, after one hour fly there will be a celebrated with champagne. Everyone will have a fly certificate. 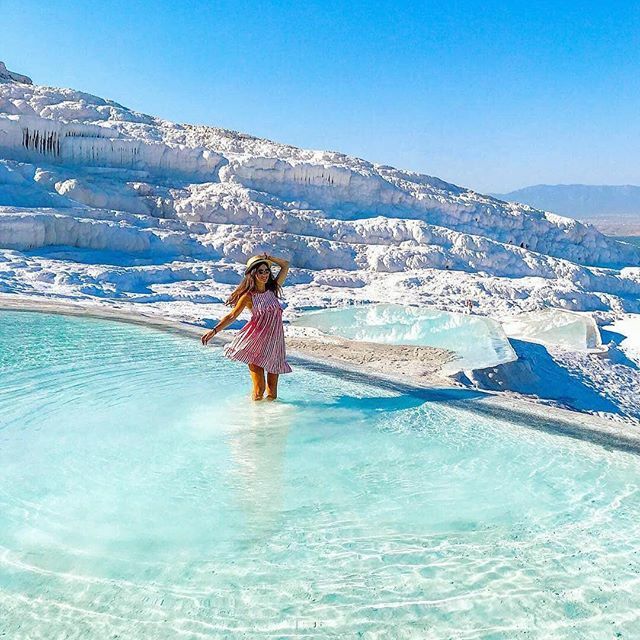 Taking a hot air balloon ride over the Pamukkale in Denizli is a dream shared by many people. 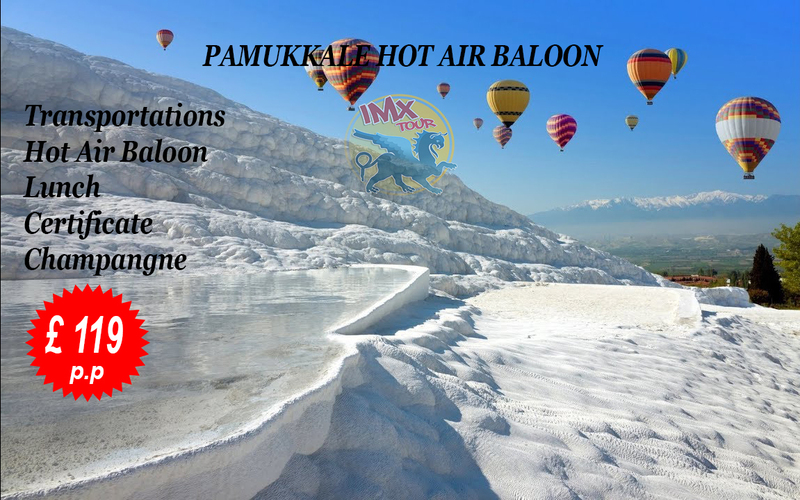 In reality, there are about the twice as many balloonists who have ever accomplished this incredible balloon flight as there are astronauts who have walked on the moon. 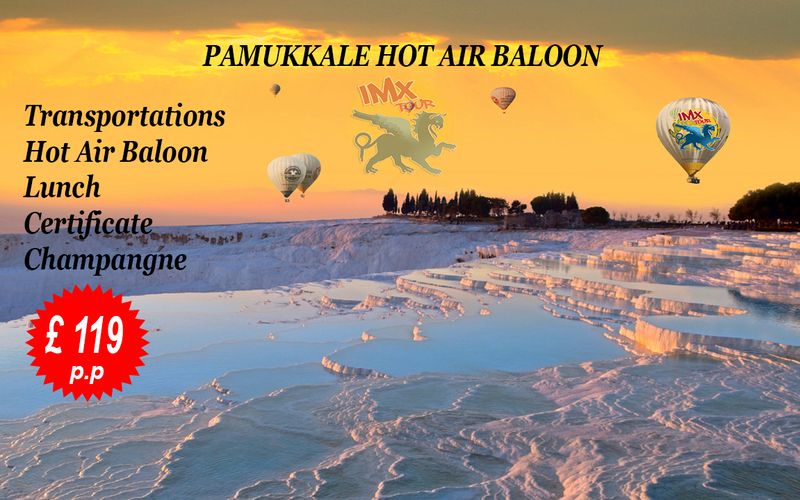 Don't miss this an amazing panorama from our Pamukkale hot air balloon. 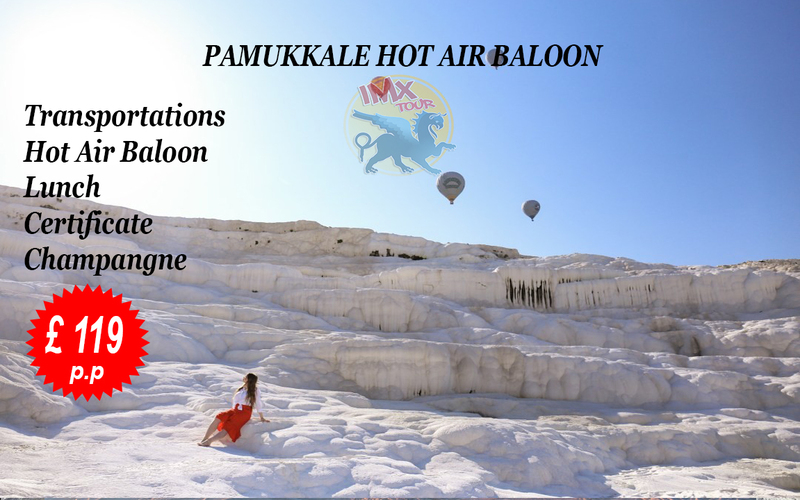 the Pamukkale offers a backdrop for what is certainly the most incredible and most exclusive hot air balloon flight ever offered to the public. We accept all credit cart, pounds £, Euro or US$ cash money for the payment of services.